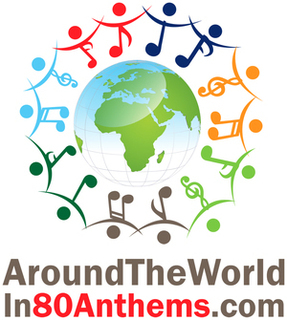 Mission: to raise funds for SOS Children's Villages by singing 80 anthems in 80 countries in 41 different languages. Donate and share now to help Capri reach her goal. 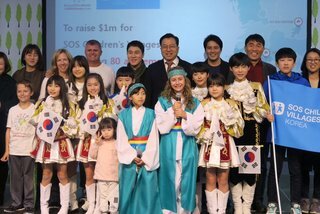 What an amazing effort from the entire Everett Family to raise awareness of the tremendous work done by SOS Children’s Villages around the world!! I really appreciate your action for the peace of the world. You are a talented girl and I hope that you can continue your passion. Capri, I heard you on Rock 101 this morning - you brought tears to my eyes. Thank you for blessing us with your voice and using it to sing for children! May these children know that they're loved. Your courage and tenacity over this past year has been truly amazing and your continuing commitment - even after victory - an inspiration for all! Thank you to everyone who came out to our pre-Blue Jays Celebration Fundraiser for SOS!! Incredible sense of who she is! Chapeau! Congratulations for your initiative, Capri and her supportive parents! Interview on CBC today was very inspiring. The fact that this family did this on their own dime is incredible. I was moved enough to go to the website and make a donation. Great job Capri, so proud of the whole Everitt family! Tom and family. Truly in awe of all 4 of you. You are an absolute inspiration and it has been a privilege to follow you on your journey. Congratulations on this extraordinary accomplishment and good luck assimilating back into the collective. I hope you have time to enjoy a well earned staycation first. All the best. This 11-year-old is pretty amazing! Dear Capri, thank you for striving to make the world a better place for children. You and your family are inspirational. Our small donation comes with much gratitude for all the good work you have done in each country you have visited. Thank you Shannon! With your donation you have helped Capri and her family to transform young lives! THANK YOU! Tune in to the Toronto Blue Jays game to hear her final anthem and help welcome her home! Thank you Heather! Capri is almost home! Tune in to the Toronto Blue Jays game to hear her final anthem and help welcome her home! What a wonderful thing that you are all doing Capri, Bowen, Kerrie and Tom! On behalf of the thousands of Children that Capri is helping to support - THANK YOU! Tune in to the Toronto Blue Jays game to hear her final anthem and help welcome her home! We are so proud of all four of you! What an incredible thing that you are doing. Your support is helping Capri and her family transform lives! On behalf of SOS, THANK YOU! Dedication : Tristan Henderson Birthday !! Happy Birthday Tristan, Using your birthday to help others is so inspiring. On behalf of SOS, THANK YOU!